This article is a re-posting from a website that is no longer online. It is believed to have originated from http://home.versanet.de/~dieter-priebe/history.html and was originally written by Cindy and David Johnson. The original article has been left in its original form. However, some grammatical errors have been corrected, and annotations have been added where necessary for clarity. As a descendant of the Priebe family, most of this account appears to be accurate, except for minor discrepancies with dates and other smaller details. Please feel free to submit any corrections. Albertina Priebe’s paternal grandparents, Karl Anton Priebe (1787-1857) and Louise Charlotte Boese (1807-1883) were married in 1828 in Gramenz. (Spellings appear to be standardized. Most records refer to “Carl Anton Priebe.” Many sources list Carl’s birth as 1787 in Garnsee, Marienwerder Westpreußen. However, Carl’s profession was a Holzwärter, or forest warden/ranger, in Bramstädt by Gissolk in 1828. Though his year of marriage has yet to be substantiated, it could be assumed that they might have been from the same area. Bogislav Heinrich Priebe, a former Holzwärter, died in Bramstädt at the age of 100 in 1824, leaving behind a daughter-in-law, two grandsons, and a granddaughter. This alone is enough evidence to call into question Carl Anton Priebe’s true birth date and place. Additionally, the Priebe surname is found in large numbers throughout the surrounding areas in the 1717 Hufenklassifikation. More will be written on this later) Albertina’s aunt Wilhelmine was born in 1828. Father, Karl was born in 1830 (born in 1829), followed by August (1832), Louisa (Raddatz ’35), Frederich (’41), Johan (’46) and Albertine (Priebe ’49). Karl and Louise lived during the time when the last of the manorial system was being dismantled. Farmers gained the right to personal freedom, to move freely, to buy land, and to buy themselves out of services. Property transfers in nearby Grunwald where Karl’s sisters lived, also under the same manor Lord largely took place in the 1830’s. The cost of gaining freedom in Gramenz was ceding to the lord of the manor around 1/3 of the land worked by the farmer. Giving up this much land was not easy. Loss of access to woodlands, loss of protection from the manor lord during hard times caused many farmers to object to the liberation. Poverty and famine through the ’40’s from crop failure and population growth. 1860-66 Army enlarged under Wilhelm I. For farming families, subdividing property between children became untenable at some point. Most of the Priebe members list farmer or laborer as their occupation on the ship manifest when they immigrated. In other words, some of the members were full or at least part time farmers while others had to contract their labor because there was not enough land for all. The prospect of all descendants owning their own farm in America looked very attractive. A birth certificate, which the pastor of the parish would write out. A character reference to prove that they did not try to escape from their crime or debts,or the responsibility for an illegitimate child. The consent of the local caretaker of the poor. A document proving that the country of their destination would accept the emigrant. Young men had to prove that they had complied their military service or were physically unable to do so. They had to prove that they had enough money for the trip to the port, a waiting period there, the passage fare, and the first time in the new country. Then they were warned of the dangers and risks of an emigration. After all this had been compiled, they got a preliminary receipt, which allowed them to make a contract for the passage. Then the planned emigration was made public (newspapers, public posting), to give creditors the possibility to claim their money. Only when all this was done would they get their passport allowing travel to the port. In 1873, the typical annual income for a family members was 630-650 Marks. A ship ticket in steerage with food was 144-210 mark for an adult, 108-165 Mark for a child. One year’s income just for a family of 4. Transport, food and lodging to the port of Bremen or Hamburg, and from New York to Cleveland were needed on top of this. This was a huge expense. It probably cost the Priebe family much of their property to purchase their move to the US. In 1862, Albertina’s uncle August Priebe (30) who had been living in Schofhütte, Uncle Ferdinand (27) and Aunt Louisa (Priebe) Raddetz (27), children Johanna and Emilie; Aunt Wilhelmina (Priebe) and uncle F.H. Raddatz (Ferdinand’s brother), children Carl, Reinhold, Emilie and Johanna; aunt Emilie (Priebe) and uncle Ernst Baumann and children Johann and Carl sailed from Hamburg on May 3 aboard the sailing ship Gellert owned by Rob. M. Sloman company bound for Quebec. Albertina’s cousins of Carl and August Raddetz, children of Ferdinand and Louisa, were left with grandmother Louise. The US was in the middle of the Civil war. The family would skirt the fighting by entering in Canada. In fact F.H. Raddatz would remain in Canada. The rest of the family could join them after a home was established and safety could be confirmed. From Quebec, Ferdinand, Louisa and their daughter Anna walked across Lake Erie in the winter to make their way to Cleveland. In 1864, Louise (57) gathered the rest of her family and made the move to join August and Louisa in Cleveland. Louise traveled with Albertina’s father Karl (34) and mother Mina (28), brother Friedrick (7), Emily (5), uncle John (17), aunt Albertine (15), and cousins August (7) and Carl Raddetz (6). Albertina was no more than 4 months old. From Gramenz, the family most likely traveled by horse cart either to Belgard where they could continue by train. It is also possible they went by cart to Köslin to go by ship to Bremen. There they would wait days or weeks before embarking on the sailing ship Elise and Mathilda at Bremen about April 2 and arriving in Castle Garden in Battery Park at the southern tip of Manhattan New York on Monday, May 23, 1864. Cleveland in the ‘60s was booming. It nearly doubled the population during the decade despite losing 1/4 of its enlisted young men to the war. It was being transformed from a center of commerce to an industrial city. By the end of the Civil War, there were 30 oil refineries producing kerosene and lubricants, iron and steel mills were booming and trade east and west climbed. The city population doubled to nearly 100,000 of which 45% were immigrants. Germans topped the immigrant list. John H. worked construction. Albertina’s father Karl was a brick mason. (As previously noted, Carl Anton Priebe was a warden. His son Carl Wilhelm Anton was a Hofmeister. Ferdinand Priebe was a mason, however.) It’s not clear what the others did, but with a large Germany community in a booming economy, work was probably not difficult to obtain. One wonders if they joined the mourners on April 28, 1865 when Lincoln’s casket laid in mourning in Public Square. Life in Cleveland allowed the family to get a firm footing in the new world. Albertina’s oldest brother Frederich was in school, and probably sister Emilie as well. Her brother, Charles, was born in ’68. Albertina’s uncle August married Bertha Schumacher, also from Germany, in May 1866. He was 34, Bertha was 20. Their son Carl was born in 67, August in 69. Uncle Ferdinand and aunt Louisa Raddetz added Mary in ’65 and Louisa in ’67. Their sons August and Charles attended school, and perhaps Annie is as well. It’s not clear what Ferdinand’s work was. Uncle Fredrick married Alemia in ’66. He was 25, she was 19. Uncle Johann Henry married Wilhelmina Schumach in ’67, but did not have children untill later. He was 21, she was 18. Uncle John was working as a mason. Aunt Albertine married her cousin Ferdinand Priebe, so she kept her maiden name. (Both Böse and Priebe names can be found in the Eschenriege church book. Both Ferdinand and Albertine’s fathers were named Carl.) They married in ’66. Albertine was 17, Ferdinand was 18 (about 25). Son Charles was bon in ’67, Emma in 69. Albertina’s grandmother, Louisa, was living with Albertine and Ferdinand. The work generated savings which allowed the family to begin moving West to Minnesota around 1869. The dream to own their own farm was coming closer. Albertina’s family moved to White Bear Township where her father continued to work as a brick mason. Uncle August’s family moved in next door as they started their farming. Albertina was 6. Her father was 40, mother 39. August was 38, Bertha 24. In 1870, aunt Louisa Raddetz’ family came to Minnesota, where Ferdinand Radatz purchased forty-five acres of land in New Canada at seven dollars per acre, and on this wild tract erected a little log shanty of two rooms and a log barn. Aunt Louisa was 35, uncle Ferdinand 40. Annie was 17, August 15, Charles 13, Emily 10, Mary 5, Louisa 3 and Louis was on his way. These moves could not have been easy. Uncle John Henry and aunt Wilhelmina stayed in Cleveland into the 1870’s where he continued to work as a mason. Aunt Albertina, uncle Ferdinand Priebe and grandmother Louisa moved into St Paul in ’70. Ferdinand took on work as a laborer. Aunt Albertina was 21, uncle Ferdinand 29. Charles was 3, Emma 1 and John Huntz was on the way. Grandmother Louisa was 63 when they made the move. During the ‘60’s, daily wages for an average worker went from $1.04 to 1.57. A carpenter’s wage grew from $1.70/day to $3.00/day. With its growth, wages in Cleveland during and after the war perhaps fared a bit better. Even with inflation, there was real wage growth for the type of work the Priebe family engaged in. We know family members worked as masons, in carpentry and general labor. It allowed family members to save money to fund their move to Minnesota. Why Minnesota? There aren’t any family traditions to give us reasons. However, the relative availability of land, better wages, economic and construction growth and the presence of a large German community probably affected the decision. In 1870, the railway between Chicago and St Paul was not yet complete. The war had hindered construction. However, coach travel was available as was travel by river boat. There are records of German travelers taking the Ohio river and the Mississippi to arrive in St Paul. The most likely rout for our family would have been by combination of rail and wagon. It would have offered the most direct and shortest travel time. However, this is only a guess. Germans had been settling in the St Paul area since the 1840’s, the beginning of St Paul itself. By 1870, over 1 in 4 living in the St Paul were Germans. There were extensive German civic, cultural, educational and religious organizations. Germans also participated in the general economic and cultural activity of the area. It would have been relatively easy for the Priebe clan to adjust, especially when they could also rely on each other’s help. The usefulness of their labor skills had been proven in Cleveland. Albertina’s father, Karl, continued to work as a brick mason in Minnesota. He also acquired land for farming. Son Frederick helped with the farm when it was purchased. Albertina’s sister Emilie married Julius Newman in 76. Julius was working as a laborer for the City of North St Paul. He was 20, she was 18. Their son, August was born in 77, followed by Julius in 79. They lived in North St Paul. Karl’s brother, August and his wife Bertha lived next to Karl. August became a full time farmer sometime during the decade. They had new arrivals, William and Elenor in ’72 and ’74. Karl’s brother in law, Ferdinand Radatz and sister Louisa arrived in North St Paul in 1870. Annie, August, Charles, Emily, Mary and Louisa were with them. On arrival, Ferdinand purchased 45 acres of land for $315 and put up a log shanty of two rooms and a log barn. He appeared to have brought the funds with him from Cleveland. $315 would be the equivalent of 6 months wages for a skilled construction worker. He set to farming from the start, and was considered successful enough to be mentioned in the History of St Paul and Vicinity. “Later, in 1876, he bought eighty acres more, at fifteen dollars per acre ($1,200), and in 1886 he sold his land at sixty dollars an acre ($7,500, enough for a comfortable retirement) and moved to St. Paul, eventually going to Otter Tail county, Minnesota, where his death occurred when he was seventy-nine years of age, his wife having passed away on the old homestead in 1882.” Wages may have been falling in the 1870‘s but land prices were not. His son, August bought 92 acres in 1878 for $20 per acre ($1,840) in section 2, New Canada. Taking up city residence initially often was a strategy to build up savings of $50 to $150. Around 1850 in Missouri this sum was sufficient for a down payment on a farm of about 40 acres, which was about the size needed to make a living. In addition, the immigrant needed about $500 to acquire implements, cattle and seed grains, as well as food that would last until the first harvest. The minimal chattel needed to be able to start a family farm on the western prairies around 1870 was a team of horses, a plow and other field implements as well as seed grain, which together cost about $1,200. That was more than the average annual income of a factory worker. German farmers were far more attached to their farms than others, succumbing less frequently to speculative fever. Instead, they tried to buy up land in their own vicinity for their siblings and children in order to be able to farm together for several generations. While the St Paul economy was on a growth trend, depending on wages was risky. The 1870’s were a time of deflation; declining wages and prices. There was an economic downturn in 1973. Owning a plot of cultivated land provided independence from the general economy. In 1878, uncle Ferdinand’s son August Radatz bought ninety-two acres of land, at about twenty dollars an acre. Karl’s brother John H Priebe had worked as a brick mason in Cleveland. When he arrived in Minnesota in 1875, he purchased 40 acres in section 36, White Bear Township. He cleared the land which was covered in brush, broke some ground and put in a crop in the following year. He continued to work as a mason, living in town. In 1877, he built a house and moved there, later adding 75 acres adjoining his property across the line in Washington County, section 31. He seems to have become a full time farmer at that point. Karl’s sister Albertina and her husband Ferdinand Priebe moved to St Paul’s Ward 4 with grandmother Louisa Priebe around 1870. Ferdinand worked as a laborer in the City. He later purchased land next to Karl and his brothers in White Bear Township. Education was important for the family, at least a basic education, but location made things difficult. August Radatz attended common school in Cleveland at least to the age of 15. John H Priebe had common school education while still in Grametz (Gramenz). German language schools were run by the churches, but North St Paul area did not have German congregations in the ‘70s. The 1880 census shows that none of the Priebe children in the White Bear area attended school and most of school age or older could not write. The Raditz children Louisa (13) and Louis (9) were living in New Canada and were in School, probably in a rural public one room English school house. The Priebe family seems to have been associated with Trinity Lutheran in St Paul during the 1870’s. Marriage and baptism records have yet to be verified. The distance made attendance difficult and therefore sporadic. In time, a pastor from Trinity visited to conduct home worship from time to time. By 1880 all the family was in the area. Grandma Louisa, Carl, John, August and Ferdinand were neighbors while the Radatz family were a short distance away in New Canada. Henry Bruening who would marry Albertina was two homes away from Ferdinand working as a live-in hired hand on the John Wagner farm. Henry had immigrated in 1872 immediately following the Franco-Prussian war. The family tradition is that his father, who was a bridge toll collector in Westfalia, hoped his son would be able to avoid a draft by emigrating. The same boom reached the North St Paul area in the 1880’s. The Priebe family was growing and prospering. The family that came to America between 1862 and 1864 included the matriarch Louisa, her five children and their families; son Charles with his wife Mina with their three children, son August, daughter Louisa with her husband Fredinand Radetz and four children, son John H, and daughter Albertine. 15 in all. The extended family living in the White Bear Township/North St Paul area in 1880 had grown to 50+ including spouses, and would add at least 40 more by the end of the decade! Charles (Karl) and Mina had 8 children, and 2 grand children. By 1890, there would be 13 grandchildren. August and Bertha had 6 children in 1880 and added 3 more that decade. Louisa and Frederich Radetz had 7 children and 4 grand children in 1880 and added 10 grandchildren. John and Willhelmena had two children and added 4 more. Albertine and Ferdinand Priebe had 7 children and added 5. (After aunt Louisa passed away in 1882, uncle) Ferdinand Radatz sold his land at sixty dollars an acre and retired to St. Paul in1886. He eventually went to Otter Tail county, Minnesota, where his death occurred when he was seventy-nine years of age. (His son) August Radatz was married on November 7, 1880 in St. Paul to Miss Hulda Gehrmann, of Oakdale township, Washington County… At the time of his marriage Mr. Radatz put up a house at a cost of about $200 and moved into it, but his wife’s health not being very good, he left the farm and went to St. Paul, where they resided for about ten years. During the land boom he sold off twenty acres of his property at $230 an acre, and at that time tore down his old buildings and put up new ones, at an expense of about $4,000. Soon thereafter he bought forty acres of land in the same locality at fifty dollars an acre, twenty-two acres at forty-five dollars an acre, and eighty acres at forty an acre, and he now has 193 acres, all in a fine state of cultivation. In 1909 he put up a barn thirty-four by sixty- six feet, with a good basement under all, and the water is piped there into as it is into the house. Mr. Radatz is one of the most progressive of farmers and an excellent business man. He holds the confidence and esteem of his neighbors, and takes a pride in what he has accomplished. Nine children have been born to Mr. and Mrs. Radatz, of whom five died in infancy, while the survivors, all of whom live at home, are Ernest, Lily, Fred and Frieda. Mr. Radatz is a Republican in his political affiliations but has not been an office seeker, although he has served as school treasurer of his home district for some time, and refused to allow his name to be used as a candidate for the office of county commissioner. He and his wife and children are consistent members of the German Lutheran church of North St. Paul, of which he was a trustee for twenty- seven years and then resigned. Albertina was 19 when she married Heinrich (Henry) Bruening in 1882. Henry was 34. They moved into a farm adjoining Albertina’s brother Frederick’s property in White Bear Township on the border of County Line Road. Henry later purchased additional land a short distance away. Unfortunately no information remains on their courtship or wedding. Since Henry was living on a farm a few doors away from Albertina, we can only suppose they met in the neighborhood. Their wedding license lists Nov 7, 1882 as the date. Son, John was born June 27, 1883. Given living conditions and lack of a church nearby, it is likely that they began their farm together, putting off the wedding until a convenient date. Henry came to the US in 1871. He left Westfalia, Prussia (now in northwestern Germany) when he was 23. Family tradition says he was the son of a bridge toll collector. His father worried over Henry being conscripted into the Prussian army. Prussia was aggressive in its use of war as a means to establish a greater German empire. The army was not a good place to be. Henry’s father told him to emigrate to America. There are no known relatives of Henry’s who came to America. By the mid ’70’s Henry was working on farms in the White Bear Township area. Albertina’s generation did branch into other occupations. Her older sister, Emilie’s husband Julius Newman became a marshal, a position he kept for considerable time. Her younger sister, Matilde married Julius’ brother William Newman in 1889. William had been keeping a saloon from before their marriage and continued to do so. In 1887, a village was slowly growing on the south side of Silver Lake. Henry Castle decided to develop the village northeast of St Paul on the Wisconsin Central Railway which ran through his farm, and on 7th Street which extended from St Paul. “By December of 1887, fifteen factories, over 100 cottages, six churches, several hotels, a school, numbers of stores, and fifteen hundred people had transformed the earlier pastoral setting into a bustling industrial city.” Castle give attractive terms for firms to locate, established a real estate firm which built and provided homes at attractive cost for workers. “Because of distance and slowness of travel… Pastor Tirmenstein of Trinity was prevailed upon to come to North St Paul to preach. Services were held in one of the homes. As the number in attendance on Sundays increased, it soon became evident that a church was needed. This was the beginning of Christ Evangelical Lutheran Church. The ten who were at this meeting and signing of the constitution were: John Priebe, Gustav Korlin, Theodor Korlin, August Priebe, Wilhelm Ott, Herman Waskow, Heinrich Bruening, Karl Priebe, Ferdinand Priebe and Ferdinand Korlin. John Priebe was elected chairman and Wilhelm Ott treasurer with Pastor Tirmenstein serving as secretary. The ten served as the church board. The first baptism recorded was that of Wilhelm Albert Bruening in 1887. Albertina and Henry’s third son. Unfortunately, Wilhelm died the next year, also becoming the first recorded funeconoeral. Eleven of the 17 confirmed were Priebe’s. Albertina was also among the confirmands with her sister Emilie Newman. Their confirmation had been postponed because a pastor was not available until the church was established. In 1869 John Bauer wrote to his parents in Baden how the residents in his rural community in Missouri all contributed to the construction of the school house, for “of course, I would much rather pay this sum [$18.25] than live in a neighborhood where the schools are poor.” He went on, “As soon as this is finished, they will probably build a new church which will naturally cost more than the schoolhouse. It is not compulsory, for many rich men don’t give a cent for it, although they are often blessed by Providence with everything; there are also people here who never go to church & think more about a nice horse than a fine church. I do not want to take a back seat here and if God gives me life and means, I intend to contribute my share. You don’t need to do this in Germany, but here the government does nothing at all” [Kamphoefner, News, 167]. German Evangelical Lutheran Christ Church joined the Evangelical Lutheran Minnesota Synod of which Trinity, it’s parent was a member. Membership was accepted at the 1888 Synod convention. In 1892, the Minnesota Synod joined with Wisconsin and Michigan to later become the Wisconsin Evangelical Lutheran Synod. Christ Lutheran belongs to the WELS to this day. Beginning with the day of founding, the congregation met at the Korlin home until a building could be built. The founding members set aside $375. The lot on 16th Ave and Helen St was gifted to the congregation. Another lot was also purchased. Trinity pledged $100 toward the building. The first building was dedicated in December of 1887. The early church records are scattered with Priebe, Newman and Radatz names as well as many who will become related by marriage – Karnuth, Kussrow, Meyer, Zaspel and Ott. The second marriage in the book is in 1889 for Albertina’s sister Mathilde Priebe and Wilhelm Newmann. The second family wedding at the church was in 1890 between Albertina’s cousin Emma Priebe who married Emil Karnuth who would become mayor of North St Paul. Death was also part of the family story in the 1880’s. Albertina’s grandmother Louise died in 1883, the year after Albertina’s wedding. Albertina’s brother Frederick married Sarah Morris in 1882, the same year as Albertina’s wedding, but Sarah, died in 1887. Frederick then married Bertha “Grannie” Wolf in 1888. “Our first church building was in a style and structure very similar to what we presently consider a typical one-room school building. In such buildings all over the midwest during these early years, our children were instructed in ‘the Three R’s’ reading, ‘riting and ‘rithmetic, while in Parish Schools ‘the fourth R”, religion, had the paramount place in the curriculum. A common practice was to divide the scholars into three groups or classes; that is, the eight grades as we know them were not used, for the simple reason that instruction time could not be broken up into as many small segments as the “graded school” would necessitate. Teachers often required the older children to help the younger ones with their lessons, and the slower pupils often received coaching in a similar way. Thus the overburdened teacher tried to have each student receive his due. As the scholars progressed in learning, they were advanced into the group ahead, and normally, at the age of thirteen to sixteen, they had completed their elementary education. In conjunction with the upper class, the pastor would conduct special instructions in preparation for the children’s confirmation. For the post-confirmation age the churches often used what was called “Christenlehre,” which was a catechetical instruction held in the church as a Sunday afternoon service in which the confirmed youth were taught by questioning on the Catechism. Sometimes Christenlehre was part of the regular morning service and even the adults participated in the answering. Children of the Priebe family living in White Bear township largely availed the service of the school. The Church was 2.5 miles away. The children went on foot or “wagon-pooled”. There was no separate Sunday School. All of Albertina’s children went to school, though by the time John is 16 in 1895, he was finished with school and was helping on the farm. “Neighbors banded together to entertain and be entertained. Their church suppers, ice cream socials, masquerade balls, theatrical performances, dances and band concerts raised needed funds for community and Religious organizations.” Emil Karnuth, Albertina’s first cousin’s son by marriage, is shown in a photo of the North St Paul baseball team. A photo from 1900 shows William Newmann in the North St Paul Band, while Gertie and Pauline Newmann appear in a drill team photo. The local news reported in June 1899 “that more than 200 people attended the concert at which ‘William Newmann in his baritone solo surprised his hearers, his voice being clear, round and full.’” The town history lists many of the entertainments available during the decade. Albertina’s parents, Carl and Mina moved into North St Paul next to the Newmans in the 1990’s. Her brothers, Charles, John and Robbie took over the farming tasks at their father’s farm. The neighboring farms were still filled with family. Still living near by were Uncle John H Priebe, aunt Willhelmina with their children. Their son John also was helping on the farm during the decade. Aunt Albertina, husband Frederich and their children were still farming down the road, as was Uncle August. Living in North St Paul were Albertina’s brother Fred & Bertha. Fred was working in a factory, renting a house. Their son George was engaged in farm labor, but the rest of their children were in school. Albertina’s brother Albert was living with wife Mary. His occupation is listed as a painter. They also rent their house. Albertina’s sister Emiline and Julius Newman live nearby. He was a City Laborer (Marshal?) while their son August tended bar, most likely for his uncle William Newman. Julius was working as a wood carver, Alvin as a grocery clerk, and Otto worked in a factory. They all lived at home with their other siblings who attended school. North St Paul businesses included the Luger Furniture Company, Harris Manufacturing Company (bobsled, harrows, etc), The Enterprise Manufacturing Company (fishing tackle), Beach Manufacturing, Cramer and Coney Company, North St Paul Casket Company, St Paul Iron Works as well as a number of smaller manufacturers set up quickly. The North St Paul Brickyard worked full bore while the North St Paul Cottage Company busied putting up homes. Masons, carpenters, painters, clerks and factory workers were in heavy demand, giving non-farm income opportunities to the Priebe clan outside farming without having to move away to St Paul. North St Paul adopted the telephone and electric power within 10 years of their introduction, albeit mostly for factories in the beginning. Four daily mail runs into St Paul made it possible to send a letter and receive a response within the same day. Beginning in 1892, the economic downturn also hit North St Paul. A number of factory closures, home foreclosures and other business failures impacted the town. Recovery seemed to be slow through the latter half of the decade. Switching careers between the 1880 and 1890 may be due in part to this. Sister Mathilda also lived near with William Newman. William gave saloon keeper as his occupation for the census. They owned their home. William’s father moved in with them by 1885. Their children were in school. August Neumann the first–the father of Julius and William–is shown on the 1880 federal census living in Chicago–along with wife Charlotte and William. The other kids, Otto and Marie, had left home by then. In 1885, they are listed on the MN census and living in New Canada next to John and Mina Radatz. But in the 1900 federal census, August is listed as widowed and is living with William, and Charlotte is listed as widowed and living with daughter Marie in Illinois. Looks like a separation with each of them saying the other was dead. Albertina’s father, Carl mother Mina and brother August moved next to the Emilia and Mathilda Newman families in North St Paul, while Charles, John and Robbie farmed their father’s farm which they rented from their father. Carl still listed farming as his occupation, though he had moved into town by 1895. What did they farm? Around 1870 “as Minnesota farmers moved out of the subsistence phase and into commercial agriculture, the majority grew wheat as their exclusive cash crop. around 1870, yields began to decline at the same time that land prices were rising with population growth in southeastern counties…As southeastern farmers began to diversify to maintain profitability, Minnesota led the nation in wheat production, Duluth became the country’s premiere grain shipping port and Minneapolis became the international leader in flour milling. During the eighties, Minnesota forged ahead from fifth to first rank among the leading wheat producing states of the union. In the following decade, it not only retained this pre-eminent position, but nearly doubled its output” … However, “Years of exclusive wheat culture eventually caught up with Minnesota farmers. Deteriorating soil quality, repeated outbreaks of the fungal disease called “rust,” and invasive weeds like Russian thistle, which moved into Minnesota around 1890, depressed yields and farm income. By the late 19th century, experts were urging farmers to diversify and Minnesota agriculture entered a new era. Diversification began in the 1870’s. Darying became an important part of this diversification, but grew gradually because it required a large capital investment and new farming skills. The growth of Minnesota’s dairy industry was stimulated by increasing population and technical advances such as winter hardy alfalfa, the Babcock butterfat test, the centrifugal cream separator, and the silo. In the 1890’s Minnesota farmers began forming cooperative creameries, which helped spread dairy farming and soon dominated dairy marketing and processing. Diversification provided better cash flow through egg money or a milk check. Corn used labor in the spring and fall, while alfalfa used labor in the summer. Livestock would eat harvest left overs in the fields. Culled potatoes or corn that failed to ripen could be fed to animals, while their manure increased fertility. Other documents talk of German farmers bringing agricultural practices from their German experience, growing food for their family in addition to cash crops. The Priebe clan appears to have practiced this, though unfortunately, there are no family stories to verify this from the 1880-1900’s. We can draw on similar immigrant experiences, however. During the same period, German farmers in New Ulm planted potatoes. Many German farm houses had tools for making sauerkraut. Cattle were common. Corn, potato, cabbage, berries, chicken, cows and perhaps sheep are likely, possibly with strawberries, beets, turnips as well. Albertina’s parents, Mina and Carl passed away in 1898 and 1900 respectively. Mina’s funeral is listed in Christ Lutheran records, but Carl’s can’t be found. The first generation was getting old. The Priebe clan had grown considerably. Marriage and church had extended the community. 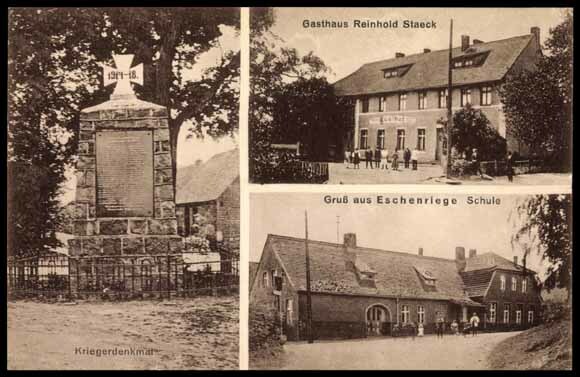 As with many German clans, the family and community remained very strong. This encouraged a continuing German lifestyle. Then you have the opportunity to observe the sizable number of Germans in the larger cities. You meet crowds of them in the streets and in taverns; however, most are from the lower classes, while the upper-crust Germans choose either to stay at home or to head for their summer retreats out in the country. Working class and trade union Americans readily follow the example of the Germans in frequenting taverns, which greatly annoys the Puritans and most clergymen throughout America. In some German taverns in and around New York, the ones that are frequented by trade union and lower class workers, you even find Sunday afternoons filled with entertaining music under the pretext of being religious in nature. Some tavern keepers at times also try to offer dancing on Sunday afternoons, but the authorities usually catch up with them-which results in a fine for the tavern keeper [A. Kirsten, Skizen aus den Vereinigten Staaten von Nordamerika, Leipzig, 1851, 315 ff.]. Attempts by Anglos to regulate the public consumption of alcohol led to social conflict again and again. It is a fact that the alcohol question repeatedly crystallized the ethnic consciousness of German-Americans. They always interpreted prohibition attempts on the part of temperance proponents as an attack on their German sense of freedom and their traditional way of spending leisure time. A Sunday fling to a beer garden in summer and an evening of gossip in the local bari — in Milwaukee in 1860 there was allegedly one bar for every 30 households — these traditions were defended as being part and parcel of German culture and of American civil rights. There are several photos in the family with beer involved. One appears to be a get together with accordion music. It has John and Hank Bruening’s name on the back, but John seems to be the only one in the photo standing at far left. Nor is beer a stranger to any family gatherings over the years. William and August Newmann operated saloons in town. Church also continued to be central to the family. Long before public school systems were mandated by state legislatures, the parish church was also running a parish school. This holds true especially for the German-language parish churches and their private German schools. “The language is the vessel of faith,” is how church leaders explained their approach to parochial education. They hoped to ward off any threat to the religion of their children (which they perceived would originate from the English-language public schools) by keeping the German schools under church management. German education was not universal in the family. Some living in North St Paul did attend the local public schools which were of good quality. North St Paul did make significant investments in its buildings and programs which included trade skills useful in local factories. Albertina and Henry made a decision to send their youngest three children to English speaking schools. In 1910, both Mary and Fred were attending a nearby elementary school. Christ Lutheran, the German Lutheran church building purchased from the Reformed Church was struck by lightning and burned on July 5, 1902. However, a parsonage was more urgent. The congregation built a 7 room house in 1905. A new sanctuary had to wait until 1912. While Church, community and family retained a strong German flavor, English also was being used in the family, especially by those living in North St Paul. Again, family records do not exist, but the following description would be typical. A successful farmer and former carpenter emigrated from a Mosel Valley village to his relatives near Detroit in 1857, and in 1888 wrote back to his relatives in Germany: “Our eldest son Peter is now 19 years old and a first-class worker. He can do all the carpentry work according to plans. . . . What I learned in Germany with hard work and much effort he can learn here almost at a glance. Although our children all speak German and learn to read and write German at school, they are more familiar with English since it is, after all, the language of the country” [Kamphoefner, News, 200]. This perfectly natural assimilation process, accepted by the majority of German immigrants. who were seeking economic prosperity, was the primary cause for the disappearance of German as a viable vehicle of daily communication in North America. Nonetheless in 1910, an estimated 9 million people in the US called German their mother tongue. Albertina’s brothers Charles, Robbie and August (Gust) were living together on their father’s farm in 1905. In 1910, Robbie is living with their brother John’s family in Eureka WI. In 1920, Charlie is living with August in Fifield, Wisconsin. However, Charles and August’s whereabouts in 1910 cannot be determined. Their father Charles (Carl) is presumed dead, but he does not appear in church records nor in death or grave site indices. Even his death date is uncertain. Family tradition is that he had somehow thought he had lost title to his farm and went away in despair. There was speculation in the family that one of the corpses found in the river could have been his, but forensic science of the time could not identify the body. It’s a mystery to this day. Fortunately the title to the land remained with the family. According to the 1910 Census, Brother Frederick (54) and second wife Bertha (45) were living in Oakdale, MN. Frederick is working in a factory as are their sons Otto (20) and Emil (18) and Edward (15). Olga (16) is at home, but not in school. These children all live at home. Frederick owns his house. Frederick’s two boys from his first marriage George (26) and Fred (24) were living together in Grant township where they rent a farm. Bertha’s oldest, Emma would have been 22, but she died in 1906 at 18. Albertina’s sister Emily and husband Julius Newmann continue to live in North St Paul/New Canada. Julius keeps bar at his brother William’s saloon. in 1910, their sons Julius (29) and Otto “Casey” (24) were living at home, employed as cabinet makers at a furniture factory. Emil (19) was working as a tuner at an organ factory. Elizabeth (17) is no longer attending school but at home. John (15) and Henry (7) were in school. According to the census, all read and write. Julius owns his home. Their oldest son, August was 32 in 1910. He married Gertrude in 1908 when he was 30 and she 26. Gertrude was born in Wisconsin. According to their great grand daughter, “My dad says August Neumann met Gertrude at a dance which was how a North St. Paul boy met a Eureka, WI girl. Didn’t know the Priebe’s also had a farm there (note probably August, Charles and Robby) –Sounds like a group of young people were traveling back and forth socially between the two towns. My dad says the Browns weren’t too pleased with Gertrude’s choice of a husband in that he was the “wrong” religion. Guess they got over it though as my grandfather would spend some summer vacation time on the Brown farm as a boy.” August and Gertrude were living on Pine Street in New Canada with their daughter Phyllis (2) and son George (8 months). August works at the saloon. They own their house. Their third son, Alvin August married Lilly May Lee on 26 June 1907. In 1910 they were renting a home at 786 Atlantic St in St Paul. Alvin worked as a street car conductor. They had an infant daughter Irene. Lillie’s sister Hazel (17) and brother Harry (12) were living with them. Sister Matilda Newmann died in 1905 when she was 35 years old. In 1910, her husband William is keeping saloon with his brother Julius. He is working on his “Own Account.” In other words, this is his business. His son Richard (17) is the saloon book keeper. Ella (19) is at home helping keep house. Son William (18) is a cabinet maker at a furniture factory, most likely with his cousins. Martha (14), Esther (12) and Edward (7) are in school. William rents their house on South St. in New Canada. Albertina’s oldest aunt Caroline Wilhelmine and her husband Franz Heinrich Raddatz are Living in Renfrew South, Ontario Canada. There are no records of regular contact with this family though. In 1910, uncle August J.F. (78) and wife Bertha (64) lived on Town Road in White Bear, next to his brother John and down the street from Albertina. August still farms the farm he owns, though none of their children live at home. Of their Children, Charles (43) lives with wife Mary (38) on First Ave in New Canada with their four children Walter (13), Adela (11), Lillie (9) and William (6) who are all in school. Charles works in a brewery. They own their home. August (40) was boarding at a home on Wabasha St in St Paul. He was working as a machinist at a gas station. William (37) married Sophie in 1903. They rent a farm in Oakdale. Sophie’s mother lives with them. Helena (33) is married to Henry Kussrow (33). They married in 1903, the same year as William and Sophie, and in the same church. They live in Downing Wisconsin where Henry farms the farm they own. They have two children Emma (5) and Edwin (4). Hulda (34) and her husband Gustaf Meyer (40), live in Pine, MN where Gustaf farms. Their children Freda (11), Minnie (8), Anna (6), William (3) and August (8 mo) live with them. Freda, Minnie and Anna are in school. Anna (29) is boarding with her sister Hilda Bunde’s family at 1304 Charles St in St Paul. She is an operator (telephone?) at a shoe factory. Otto (28)’s whereabouts is not known in 1910. though he marries Amelia Lehmann in 1913 in the family church. Leo Albert (26) whereabouts is not known in 1910. Hilda (23) in 1910 is married to Albert Bunde and is living at 1304 Charles St. with their infant, Harold. Albert owns a print shop. Ferdinand Raddetz had remarried to Ida Gehrmann in 1884 after Aunt Louisa’s death in 1882. Ida died in 1898 in Edna. Ferdinand died in Edna, Otter Tail County in 1907. He had been living there with his youngest son by Louisa, Louis, and daughter, Anna (13). In 1910, Ferdinand’s oldest daughter Annie Raddatz Flesch (56) was living at 248 Goodrich in St Paul with five of her daughters, Mary (34), Amelia (31), Eugenia (27), Teresa (25), and Julia (19). Annie owned her house and was retired. Mary and Teresa were dress makers at a shop. Amelia and Eugenia were sales ladies in a department store. Julia was unemployed. August (55) is living with Hulda (47) at their farm in New Canada. In 1909 he put up a barn thirty-four by sixty- six feet, with a good basement under all, and the water is piped thereinto as it is into the house. Mr. Radatz is one of the most progressive of farmers and an excellent business man. He holds the confidence and esteem of his neighbors, and takes a pride in what he has accomplished. Ernest (24), Lillie (22), Fredrick (22) and Frieda (19) were helping on the farm. Five other children had died at a young age. Charles (52) and Tresa (43) were living at the house rented on 506 Carbon St in St Paul. He moved back to MN from Kinnickinnic WI where he had a farm. In 1910 he was a self employed teamster. 7 of the 8 children were living at home, including Louisa (26) who is a (feololer? Fedder?) at a grass carpet company. Annie (23) works in a railroad shop while attending school. William (21), Gertrude (14), Emma (10), Lillian (8) are full time students. Katy (5) and Edward (1 1/2) are at home. Emily (50) and her husband Ferdinand Rekow’s whereabouts are unknown. Mary (45) John Florn’s whereabouts are unknown. Louisa (43) and Frank Bennedict (46) are living and working the farm they own in Kinnickinnic, WI. Rob (24) and Theodore (18) help on the farm. Theodore, Rosa (16), Lenard (12) and Herman (8) are in school. Edmond (4) is at home. Louis (39) was living with father, Ferdinand, in Edna and with half sister Anna in 1907, but his whereabouts in 1910 is unknown. Albert (24) and his wife, Ella (20) own and farm in Edna, MN. Anna (22) is living with husband Ben Scharmer (26) in Gill, North Dakota where he rents and works a farm. Aunt Emilie died in 1905 in Otisco MN at 66. Husband, Ernest Bauman (74) lives with daughter Thresa Owatanna. Many of their children live in the Otisco area. John (51) and wife Mary (38) farm on the property they own in Otisco. They have no children. Theresa and husband Gustav Runnarstrom (50) rent a farm and live at 226 Broadway in Owatanna. George (18), Arnold (16) and Alvia (14) are in school. Gustav’s father Earnest also live with them. Matilda and husband Paul Below own a farm in Wildon, Waseca MN. Son John (20) helps on the farm. Emma (18) is at home. Alma (17) and adopted son Charles Michell (13) are in school. Emma (30) and husband William Poplow (36) hown a farm in Wilton, Waseca County. Clarence (8) Walter (7) attend school. Ella (5) and Willard (2) are at home. William’s mother, Ernestine (60) also lives with them. John (62) continues to farm his homestead in White Bear next to brother August and across the street from Albertina. His wife, Wilhelmina died in 1902. Son John E (34), George (26) Emma (31) and Alma (19) live with him. Bertha Marie (24) is a servant for the Dr Hunt family at 961 Grand in St Paul. Augusta (21)’s location is uncertain, but she is still single and most likely in MN. Albertina (61) and husband Ferdinand Priebe (69) continue to farm in White Bear, down the road from John, August and Albertina. Albert (27), Anthony (20) and Emil (13) are living at home. Charles (43) and Mary (38) are living at First Ave, New Canada in the house they own. Charles workes at a brewery. Their children Walter (10), Adela (11), Lillie (9) and William (6) are all in school. Emma (41) and husband Emil Karnuth (43) live in the house they own on 5th St. New Canada. Emil is a painter at the furniture factory. Son Emil (17) is an office clerk at the furniture factory. Anna (15) helps at home. Martin (14), Walter (10) are in school and Albert (3) is at home. John (39) and his wife Bessie (28) Live on the farm they own and operate in Eureka MN. Son Ronald (8) and Beatres (6) attend school, and Albert (3) is at home. Ida (37)’s whereabouts is unknown. She dies in 1913 and still carries her maiden name, and the funeral was at Christ Lutheran, the family church. It is assumed she did not marry. Helena (Lena) (31) and her husband Charles Frederick (35) own and operate their farm in Inver Grove MN. Their children Elsie (7), George (5), Emil (3) are at home. Charles’ parents William (74) and Gusta (68) live with them. Mary (Marie) and her husband Charles Hause (38) live on Charles St, New Canada which is the dairy farm they own and operate. Their children Mary “Maime” (13), Walter (11), and Olga (6) are in school. Also living with them are John Karnuth (71) and Arthur Pufahl (21) who both work on their dairy farm. Louisa (Lizzie) and husaband John Klemm, both 29 were married the previous year and are living at 1991 Ramsey St. in St Paul. John is a bakery wagon driver. Lizzie is at home. Theresa (28)’s whereabouts in 1910 is unknown, but she marries Thomas Baird in 1914. Bertha Hulda (22) may have been working as a servant in a boarding house in St Paul, but this isn’t clear. 50 years had passed since Albertina came to the US as an infant with her grandmother, parents, uncles aunts and siblings. She was among the older of the first generation. Her younger siblings were American born. The Priebe family had successfully transplanted themselves. The family had grown in the new country. For the most part, the extended Priebe family descended from Louisa were established in and around North St Paul where Their Church was located. Albertina (46) and Henry (61) continued to operate their farm on County Line Road in 1910. John (27), Hank (24), Ann (19) and Emma (17) helped full time with the farm. Mary (10) and Fred (7) were in school and Frieda (4) was at home. Farming peaked as a family occupation around this time. First generation farms were beginning to be sold. Younger generations couldn’t, or were not interested in purchasing new farms. Those going into farming bought from parents, relatives, or sought less expensive land in the Dakota’s or Wisconsin. And, as in the old country before emigration, some children remained on the farm helping, and adding to the economy by periodic employment. No longer did all family members aspire to their own farms. That’s not to say that the area was fully developed. Even the public roads depended on those living on them for their development. The St Paul newspaper lists payments made to farm families to develop country roads. Electricity came to the farms in the 1930’s. While some cars, trucks and tractors were in use, horses continued to be the primary power source, especially for winter transport when roads were impassible for cars, but accessible for horse sleighs. Without refrigeration, dairy processing depended on ice houses stocked with blocks cut from Silver lake in the winter, hauled by horse and preserved in saw dust, hay and other natural insulators. During the 10’s, Heinrich’s health deteriorated from his diabetes. The farm had added property. Hank purchased property on County Rd E, west of County Line Rd. The property included some of Albertina’s father, Carl’s land which was thought to have been lost. That property, “Hank’s Farm” was used mostly for hay for cattle. Heinrich had also acquired land on Country Rd E, east of the farm, part of which was used as a landfill. John and Hank had begun a garbage run through Birchwood and Belaire where the houses were well-to-do. The material was disposed on their property but not before Emma had had gone through the “rich people’s” discards for useable cloth, tools, etc. She was extremely frugal and knew how to repurpose a worn kitchen utensil, or salvage discarded clothing for rags. John and Hank started the garbage collection using their horse drawn cart. The work went so late that Emma worried that they would be hit by a car in the dark. Soon, they used the truck from the farm on their rounds. Farm practices were beginning to mechanize, but the bulk of the work still came from horses and humans. A typical 120 to 200 acre farm needed lots of hands. Older children, single adult children living at home, seasonal labor and the help of neighbors was a necessity. Farms were self sufficient in their own needs, and marketed commercial produce. Albertina’s farm grew potatoes, onions, carrots which were stored in a root cellar for use year round, watermelon, strawberry and currents of which some was canned,jellied or jam’d for their own consumption and the rest sold for cash. Chickens were raised for eggs and meat. Some of the eggs went to market. Beans, cabbage and other greens were raised for canning and sauerkraut. Hogs were raised for meat, some of which was made into sausage or ham for storage. Dairy cattle provided milk for sale to the creamery and occasional meat. Hay was raised for the cattle and horses. Corn and wheat provided cash, feed and some domestic food. After milk was collected from the cows, it was chilled in a side room attached to the ice house. The chilled milk was delivered by horse carriage, then later by truck. Ice was cut from Silver Lake, about 1.5 miles south on County Line Road. Blocks were sawn in the winter, hauled on horse wagons, and preserved in an insulation of saw dust or hay. After Heinrich’s death in 1919, John, Hank and for a time Fred and uncle Robby provided the male labor, while Ann and Emma worked with Albertina. Mary and Frieda pitched in as they grew older, starting with chicken, egg picking, berry harvesting, etc. English was becoming more prevalent in part because the second and third generation had grown up around it and younger children were now being placed in English schools. Albertina chose to place her youngest, Fred and Frieda in English school, rather than the German parochial school at Christ Lutheran where the others had attended. Another reason was the war. As Europe engaged in war with Germany, even before the US entry in 1917, a wave of anti-German hysteria, fueled by propaganda-infused superpatriotism, resulted in open hostility toward all things German and the persecution of German-Americans. Some Germans had assimilated quickly to the US. Others, like German Catholics and Lutherans, such as the older members of the Priebe family, believed that the preservation of their faith depended on maintaining German language and culture. They also believed that German culture could be infused to American culture and improve it. To that end, the churches operated their own schools, and German-American communities published newspapers in German. …German American Lutherans were outright hostile toward the Kaiser. The vast majority of German-Americans wanted very much for America to remain neutral toward Germany, but their political allegiance belonged to the United States. (Yet Anglo’s) were having trouble understanding why German-Americans would not willingly give up their German culture. After all, had they not deserted Germany for a better land? To them, German-Americans were naturally clannish and arrogant. Especially troublesome were the numerous German-American festivals; where dancing and beer-drinking was commonplace, even on the Sabbath. Native-born Americans invented a term to describe this deviation— “hyphenism.” Whereas the term “German-American” (or “Irish-American”) had for decades referred simply to specific ethnic identities in American society, under Anglo-Saxon nativism they became insults, implying that these ethnic groups were not “100% Americans”. The implication was that if you were a hyphenated American, you were not a true American. In keeping with the pseudo-science of the times, nativists even came to believe that these social characteristics were hereditary—passed down through genetics. Though North St Paul and vicinity did not see extreme reactions, tension was ever present. The first clashes in North St Paul were around liquor. “Mrs. John Herrick, leading a group of women from the Mother’s Club, marched into the village council meeting on May 4, 1914 and demanded that the Mayor (Emil Karnuth) do something about the saloon problem in town.” At this point, the women were only pushing for enforcement of state laws on service hours. The confrontation ended when “William Newmann wedged in the last word ‘If there is any place in town where boys learn lying, stealing, cheating, gambling and being dishonest, it is the pool room.’” But the women went onto lobby for closing all saloons and creating alternate entertainment. Theaters for movies, plays, libraries and a public beach were some of the many alternatives which developed. The North St Paul paper, the Sentinel reported that in a send off of local recruits, Mayor Karnuth and others spoke and that “As a man of German name he spoke as the majority of German people have done in this vicinity to stand unbiased by the nation which furnishes them a home, occupation, justice and liberty.” Of course, publicly this was fine, a mayor of German descent belonging to the German Lutheran Church and many immigrants in the community. In private things were not as smooth. Frieda remarked that there were times when people threw eggs or rotten tomatoes at their farm because they were German. As a consequence, there was an intentional shift toward using English in public and to some degree at home. This was true with the Bruening and Priebe families, especially those in town who’s children had a strong command of English. Their church, as a public organization also had to change. The purpose of the Ladies Aid is to offer assistance and help within the congregation wherever needed and also to support missions In early years ice cream socials at Silver Lake Pavilion and community dinners were sponsored by the ladies as fund raisers. They also presented plays at church and canned food for the Lutheran Children’s Friend Society.” Cook books were also assembled. Ladies Aid was a foundational social group for the Church and for the families involved. Heinrich Bruening died in 1919 from Diabetes at the age of 71. John, Hank, Anna and Emma remained single, running the farm with their mother. Mary worked for a short time after finishing school in a candy factory in St Paul. She married Tony Pryble in 1924. Tony was Polish Catholic, so Mary converted. Bernice was born in 1925. She was the only grandchild Albertina would see. Frieda attended highschool in the North St Paul High School newly built in 1916. Though she had started elementary school a year late, she graduated high school at 16 in 1922. She went onto teacher’s college in Winona. Two years later, she was teaching in a one room school house. Albertina’s brother Frederich was 63 in 1920, continuing work at the furniture factory. He was living in Oakdale with wife Bertha (54) and son Emil (28). Emil also worked in the furniture factory. When Frederich passed away in 1926, Bertha moved to 26 7th St N., to live with sister in law Emilie Newmann. Emil married Lucille in 1921, moved to 1191 Hancock St in St Paul and continued to work at a furniture factory. By 1930, they had two children, Raymond (1922) and Walter (1923). Their daughter Olga married Rudolph Zaspel in 1912. In 1920, Rudolph worked in a factory and they were living in Oakdale. They moved to 134 E. Geranium St in St Paul before 1930. Rudolph was a carpenter. Sister Emilie Newman and husband Julius were living at 26 7th Ave in North St Paul in 1920. They were 61 and 64. Julius was retired in 1920, while his son Otto (36) continued to work in the Saloon while living at home. Sometime during the decade, Otto changed work to labor as a digger. Also living there was son Henry (17) who was working as a packer in the Table Factory. Soon, sister in law Bertha moved in with them, as did nephew George who also worked at the table factory. Prohibition impacted many liquor related businesses. The Newmann saloons managed to continue. Near beer was served in the main hall, while a not so secret speak easy operated on the second floor. Clients entered through a secret door. In the basement, they sold bait and tackle. The Newmann Bar has the distinction of being Minnesota’s oldest continuously operating bar as of 2014. Tragedy struck the Newmann’s in 1918. While WWI claimed 5 lives in battle, the Spanish Flu took 25 from North St Paul. Among them were Albertina’s nephew August and his wife Gertrude. Their orphaned children, Phillis (9), George (8), Robert (7) and August (5), moved in with their aunt, Lizzy Newmann Stevens. When Lizzy died in 1922, the children were split up. By 1930, Phyllis was living and working in St Paul as a stenographer, George was married. Albertina’s brother Charles lived and farmed with brother August (Gust) and his wife Anna. In 1920 they were 51, 42 and 28 respectively. August’s farm was in White Rock Rd., Fifield WI. There is a photo of Anna and Bertha Schultz Priebe around the time of their wedding. Charles lived with Gust and Anna on the farm throughout the decade, though toward the end, Charlie also took on odd jobs to supplement their income. Robbie, who had farmed with them in MN around the turn of the century continued to live on Albertina’s farm. Sister Matilda had died in 1905 at age 35. Her husband, Julius’ brother Frank Newmann remarried Pauline. In 1920, they were living at 57 1/2 7th Ave NE in North St Paul. At 55, William was employed at a confection store, serving soft drinks. In 1930, Frank was 65 and Pauline 58. They had moved in with son William, wife Viola and his three children at 47 7th Ave in North St Paul. Albertina’s brother John was 47 in 1920. He was living on their farm in Branch with wife Bertha (30) and children Ella (14), Leo (12), Hulda (10) and Alvin (1 1/2). He was listed as a general farmer. All the children were in school except Alvin “Sonny.” They continued to farm there thru 1930, Leo still at home in 1930 helping on the farm. Ella married Lodge Szymanski around 1927. Frieda was a bride’s maid at their wedding as was Ella’s sister Hulda “Babe.” It’s not clear where they lived right after marriage. Hulda married Lawrence Turner in 1929 and continued to live in North Branch. There are many pictures over the years which include John and Bertha Priebe’s family. They seemed to have remained close. Of course, John was much younger than Albertina, more in the age group of John and Hank Bruining, Albertina’s children, while John and Bertha’s children, Ella, Leo and Babe were close to Mary and Frieda Bruening. The group picture from 1929 shows the family together in North Branch. Caroline Priebe Raddatz died in 1918 in Ontario Canada. Contact with this part of the family seems to have been minimal. Albertina’s uncle August died 1913 at 81. But aunt Bertha, his wife, lived with son August and daughter Anna in White Bear down the road from Albertina’s farm until her death in 1927. After Bertha’s death, August and Anna moved to 113 West Hatch St., St Paul where they were living in 1930. August was working as an auto mechanic. Uncle John was living with his son George, George’s wife Rose and their children in 1920. They lived together until John’s death in 1925. George and Rose continued to raise their family Eldridge, Lenora and George on the farm through the decade. (Show photo of George, Rosalie and John). Aunt Emilie had died in 1905. Her husband Ernst Bauman continued to live in Waseca County until his death in 1916. Uncle Ferdinand and aunt Albertina continued to live down the road. Ferdinand died in 1926, but Albertina continued to live on the farm with her sons Albert, Anton and Emil even to 1930. Sometime these brothers began to farm mink. Mean and smelly is how the family remembers mink farming. Ferdinand and Albertina’s daugher Emma married Emil Karnuth. They lived in 141 5th Ave., North St Paul. Emil worked wood finishing at a casket factory. They lived with their children Anna and Albert. Albert became a welder. Ferdinand and Albertina’s son John and his family moved back to North St Paul from Eureka WI in the 1910’s. In 1920, they had a house at 369 West Chamber. John worked on a farm while the oldest son Ronald was a book keeper at a publishing house until his marriage. Other children included, Beatrice, Laurence and Richard. John and Bessie moved to 309 Charles St North St Paul during the decade. John had switched to working in a railroad shop while son Albert was now a book keeper for a realtor. Emil Karnuth and John’s families seem to have been close to the Brueings. There are many family photos, especially of Beatrice with Frieda and her sisters. Frieda was very fond of Beatrice. Beatrice seems to have married in the 1920’s, but her whereabouts is unknown. Frieda met Milton Johnson at a party at Amundson Boatworks owner’s home around 1925. Fred and Mid, who were dating, were trying to connect Frieda with one of the Amundson boys, but she ended up being driven home by Milton. After graduating from teacher’s school in 1924 she had been working as a teacher. Frieda and Milton married secretly in Stillwater in 1926 so that Frieda could continue to teach. Albertina died Sept 3, 1927. Albertina was buried in Union Cemetery in White Bear, next to her husband. Custom dictated a year of mourning after the death of a parent. Fred and Mid did not want to wait, so they too married in secret in 1927. Milton, Frieda, Tony, Mary and their daughter Bernice attended. They feared little Bernice would break the secret, but she held on. At her death in 1927, Albertina was 63. Her oldest four surviving children, John, Hank, Ann, and Emma were successfully managing their farm. Albertina’s younger brother Robby who had some mental disadvantage, was assured a secure life helping on the farm. Albertina was blessed to hold her first grand daughter, Bernice. Though she did not live to see Fred and Frieda married, or see her grand children by them, she would have been pleased with the long, successful marriages of her youngest three. As you drive into the property past a shed on the left housing horse and farming utensils, the house stands at the top of a rise, surrounded by trees. Go up the front steps and into the entry room, and the space opens to the living room. A glass front case held some books and photos of family members. A china closet and shelf with a clock was there. The living room had a TV. In later years, John and Hank would sit in dining chairs watching TV with a coffee can spittoon in between them. The living room had a leather couch, a chase lounge. The living room was not used much. At christmas there would be a christmas tree with candles. It was only lit on Christmas eve. The downstairs also had a bedroom which Ann and Emma shared. Frieda was in the same room when she was little. A stairway off the living room went upstairs where there were two bed rooms. At the top of the stairs was a big christmas cactus. They still remind Sylvia of Ann. To the right was the front room which was off limits unless there was company. Ann would hide christmas presents and other stuff there. You could walk into the attic from there. On the left was John and Hank’s bedroom. It had two twin size beds. The front of the house had an enclosed porch. Inside the porch, toward the right of the entrance is the kitchen. Although there was a dining room off the kitchen, most meals are eaten in the kitchen which could seat about 10 people. The dining room was for company. The kitchen had a door to one of the basements. The kitchen also had a pantry for pies, cakes and storage. The house has four separate basements. One serves as garage. A second is a root cellar, dark with concrete blocks. A third has a stove and shelves, used in the summer for canning. The fourth has a washer and dryer. Around 1940, a bathroom was put in by the kitchen. Before then, you used an out house. Electricity came in around the same time. Before then, water was pumped outside and carried into the house. Ann washed dishes on the kitchen table. She set up three enamel basins. One with bleach to wash, one to rinse and one to dip. The kitchen had a wood cook stove. Ann could always bake bread or cake and have them come out. When Sylvia arrives at the farm, she heads straight for the yard. On some visits, Bernice, Betty or Richard are there too. Sylvia’s favorite is to climb into the hey loft to play, especially when her cousins are there. Emma would warn them not to go up, but once they were up playing, Emma would quietly close the hatch door so they wouldn’t accidentally fall down. Playing with cats, riding on the farm horses or standing on a pile of hay to be lifted by the horses as it was pulled to the loft were some other favorites. Sylvia remembers having to sit behind Betty on the horse. A farm horse’s large hips move up and down. Sylvia kept getting shifted to the side until she fell off! Emma would go shopping in North St Paul. When she went, she always dressed in a dress, and wore a faux pearl necklace. John and Hank farm mostly with horses which will continue well into the 1960’s. They grew corn as a cash crop. They also raised hay to feed the horses. They also had an extensive garden. When vegetables or fruit were in season, the sisters would can them in the basement to keep the rest of the house from getting too hot. Some of the cans went home with Frieda. The cans were stored in the back of the closet in the apartment. Emma also kept chickens for meat and for eggs. One room in Century College bears the name Bruening in honor of the family. Mary married Tony Pryble in 1924. Their daughter, Bernice was born in 1925. Fred married Mid Hodson and had two children, Betty and Richard. Frieda married Milton Johnson and had one daughter, Sylvia.